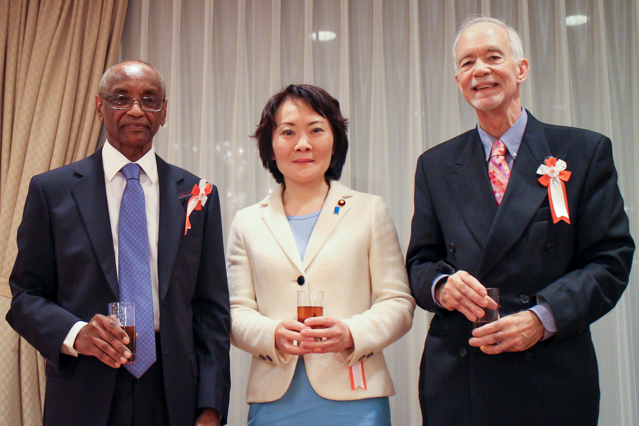 On 30 November 2015, the Ministry of Foreign Affairs of Japan hosted a reception for the 64th Session of the Council of the United Nations University. The event was a special occasion to honour UNU Council members for their service and dedication to promoting the work of UNU worldwide. UNU was honoured to have in attendance Ms. Miki Yamada, Japan’s Vice-Minister for Foreign Affairs, who gave remarks expressing thanks to the Council, along with remarks from UN Under-Secretary-General and UNU Rector David M. Malone, and UNU Council Chair Professor Mohamed H.A. Hassan.